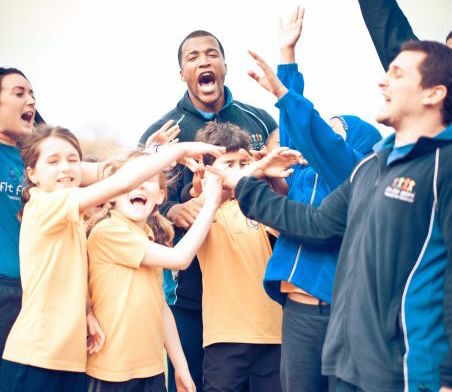 Fit For Sport are recognised as industry experts in delivering training courses and qualifications to create Children’s Activity Professionals who are able to engage and educate young people through physical activity. At Fit For Sport we believe in the role of the multi-skilled Children’s Activity Professional and The Fit For Sport Training Academy offers a range of different courses, qualifications and development programmes for those working in physical activity settings, at all levels and across a range of sectors. The Fit For Sport team consists of highly qualified and experienced tutors, assessors and internal verifiers enable learners to benefit from blended learning approaches including interactive face-to-face workshops, online modules and distance learning resources – allowing a flexible and adaptable approach to learning and development. Whether you are an employer looking to upskill your staff or an individual wanting to broaden your skills, The Fit For Sport Training Academy aims to provides the tools, knowledge and confidence to deliver quality physical activity programmes for children and young people. Fit For Sport training courses and support programmes are designed to give you up-to-date industry specific knowledge and tools to deliver children’s activity sessions, incorporating current industry guidelines and engaging delivery methods. If you would like to gain a qualification enabling you to work with children and young people, our range of training courses and qualifications can help you on your career path. If you work with children in any capacity and are looking to upskill your team in engaging children and young people in activity, we offer accredited and non-accredited training courses tailored to your needs, which take place either in-house at your organisation or offsite. "At David Lloyd Leisure we are passionate about active children and families. Fit For Sport were our ideal partner for our recent training as they share this passion. The team at Fit For Sport spent time listening and getting to know us. Working with our DL Kids Managers to develop a training programme that was delivered with professionalism, enthusiasm and boundless energy across all our clubs. The kids in the clubs really notice the difference! I'm looking forward to working with them again." For more information about working with Fit For Sport, please click here.